Thursday morning we awoke eager to hit IWF 2018, man our booth and meet and greet. We had meetings with current customers, potential customers and everyone that walked by was greeted with a friendly hello! We split up into teams, to better see all IWF has to offer. Some of our people attended vendor meetings while others walked the floor and manned the booth! After lunch, a color trend presentation was sponsored by another of our 3DL (thermofoil) manufacturers, American Renolit. The focus of this enlightening presentation was “Sounds of Color”, an unlikely title – what do sounds have to do with color? We experience the world around us with all of our senses. We often hear and see at the same time, and process these senses together. Color designers talk about tones and so do musicians! 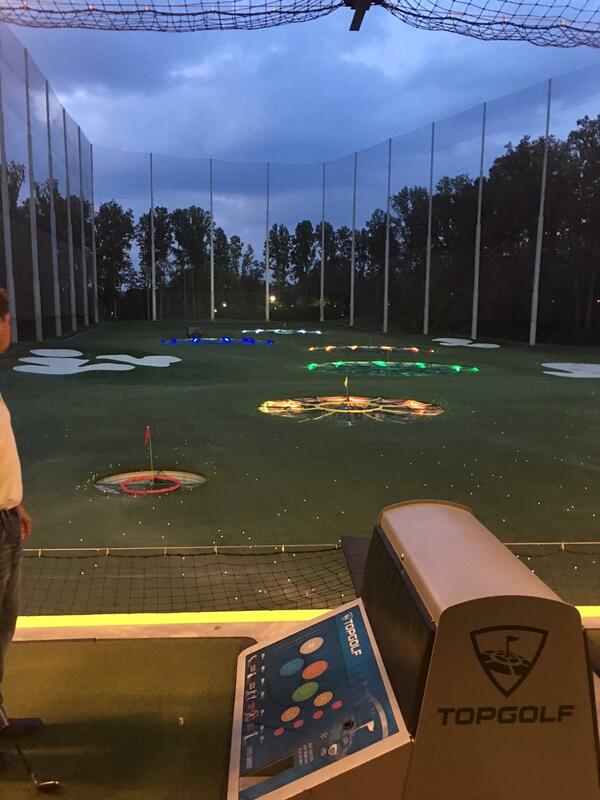 After the show closed on Thursday, we headed over to Top Golf Atlanta for a fun evening of point- scoring golf games for all skill levels. They have several bays of golf tees available, with the object of the game to hit your ball into a specific area for points. This was one of the best events we’ve ever done and if you’re looking for a way to bring people together, Top Golf is a hit! Friday morning dawned with continued excitement. Full of anticipation, we made our way to the show. Arauco Prism was on our list to check out their new color launch. New for 2018, Arauco is bringing the outside in. 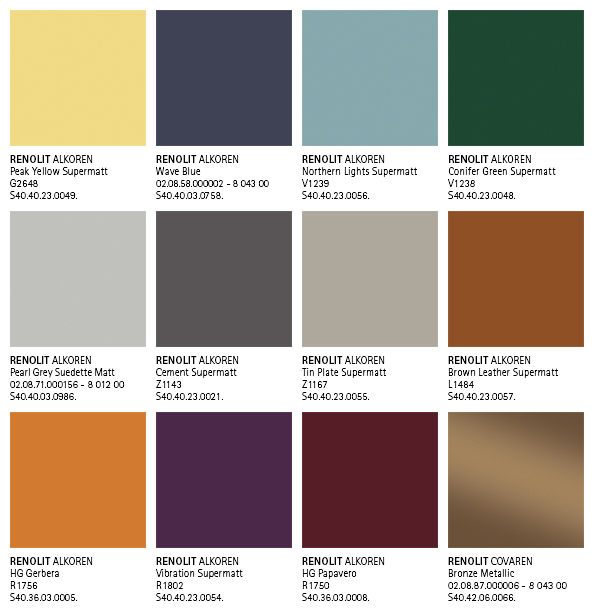 They’ve released 16 new colors and two new textures: Boreal and Velvet. Boreal takes after the deep and vast forest of the same name and Velvet amps up sophistication with its smooth, matte texture. Prism TFL is a colorful brand that has real character with a designer friendly focus. To see their colors in action, take a look at their extensive case studies web page. Lunchtime found us joining several of our female colleagues at the WOW (Women of Woodworking) networking luncheon. We spent an hour eating, catching up and sharing challenges, solutions and resources. All in all time well spent, with a roundtable format of each person sharing their begs and brags with audience participation. Thank you to Christina Elsenbroek from Stiles Machinery for sponsoring. 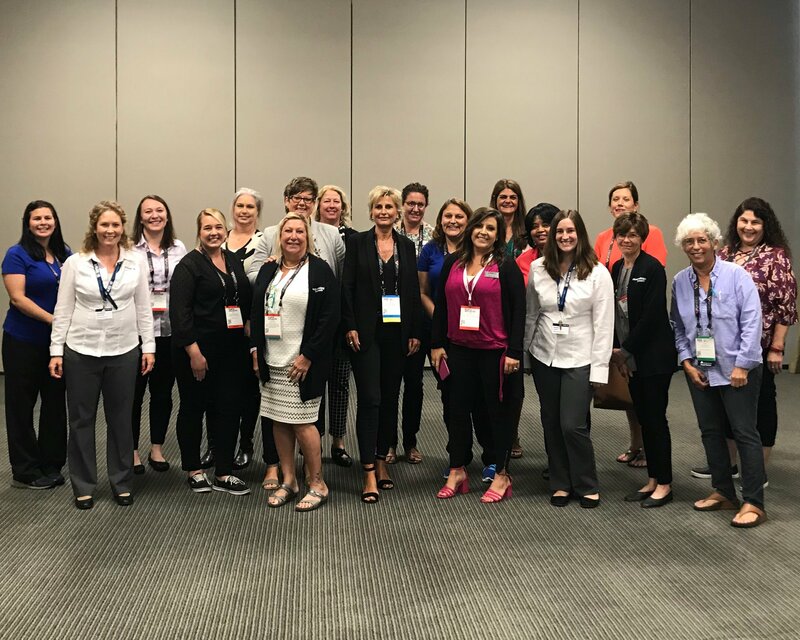 If you’re a woman in the woodworking industry and interested in joining, please contact Christina: celsenbroek@stilesmachinery.com to get on the email notification list. We spent the rest of the afternoon combing the exhibit halls for exciting, new products. 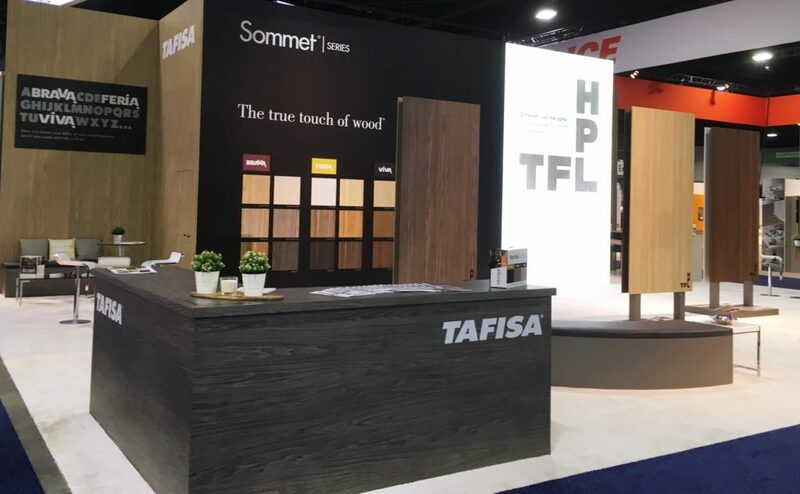 Continuing on the hunt for the latest TFL colors, we visited the Tafisa booth to view their 2 new embossed in register textures, FERIA and BRAVA. These join their already launched VIVA textures. Each texture has 6 new colors for a total of 12 new colors. 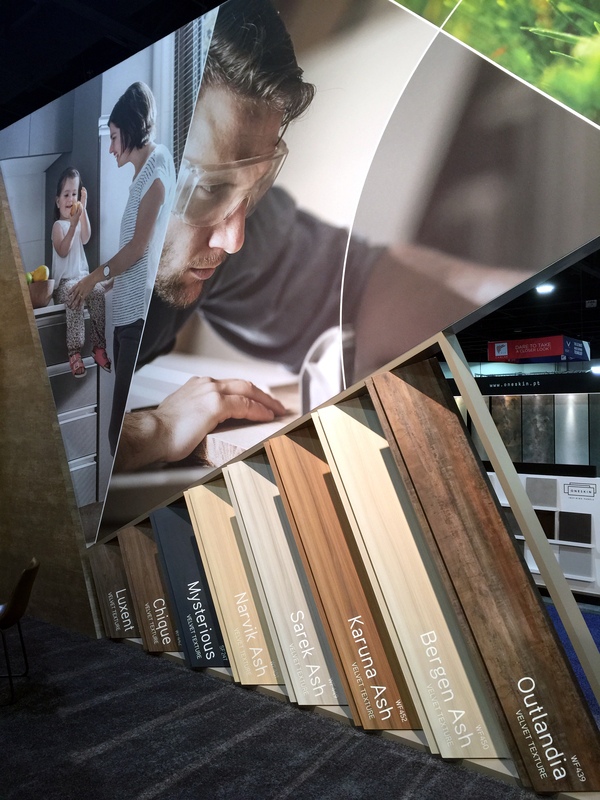 In addition to the new colors, they are innovating again by adding a complete matching line of HPL (laminate) to their product lines. Made from the same texture plates and the same printed decors, they now offer the perfect match! We headed back to our booth as they were announcing the Friday night close of the show. After meeting a few colleagues at the Omni for cocktails, we ended the evening with an enjoyable networking dinner at White Oak Kitchen and Cocktails. 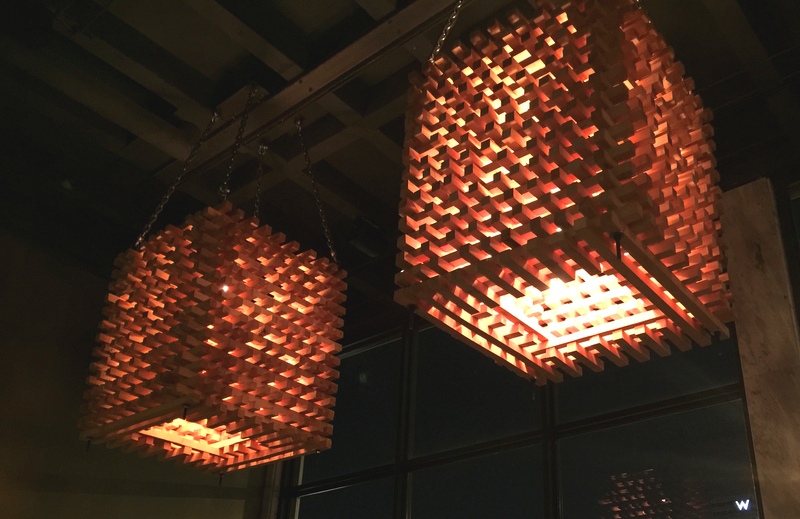 How appropriate are these wooden chandeliers? Saturday dawned with the realization it was the last day of the show! The day flew by and before we knew it, they were announcing the close of the show. 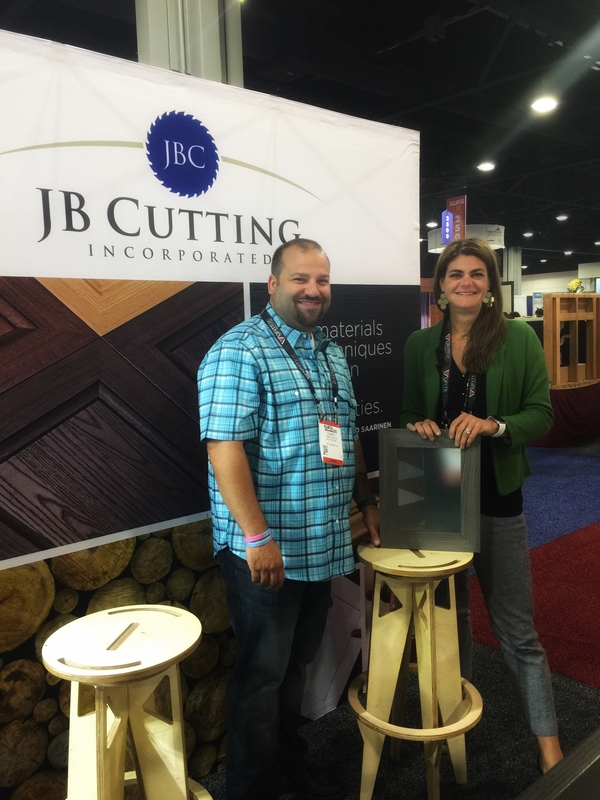 It was a whirlwind, overwhelming week, but a great chance to see current customers and make new acquaintances. All the technology and products we saw were well worth the trip. Some new equipment is on order, we’ll keep you posted. Although IWF is a long and tiring week, it’s a powerful platform for meeting potential customers, reaching out to our existing customers and building a more established and reliable brand. You really can’t pass up the opportunity! We’re already looking forward to IWF 2020!